The importance of clean power. We live in an extremely polluted environment in electrical terms – mobile phones, computers, appliances and even our hiﬁ/AV systems themselves all contribute RF (radio frequency) and EMI (electro-magnetic interference). These all create ‘noise’ which adversely affects the performance of your equipment. Generally, this electronic hash is only noticeable when removed – sounds appear better deﬁned, more stable and natural etc. Ensuring a clean power supply is a fundamental step in removing noise and optimising performance, which is why we’ve created the Eos Modular Power Management System, comprising a mains block offering either unfiltered or a combination of filtered/unfiltered sockets (for different equipment types) and a series of power cables. High frequencies were also superb, with sparkle, smoothness and air to all music used – violins, percussion and vocals came out very well, as did the ability to discern complex arrangements within classical music. Expensive, but effective. Atlas Eos Modular 4.0 power distribution mains blocks–provides unﬁltered socketry for products with high dynamic current demands, e.g. large power ampliﬁers, while optional ﬁltered sockets are optimised for source components, pre-amps and smaller/integrated amps. Standard configurations are 6 unfiltered sockets or 3 unfiltered/3 filtered. 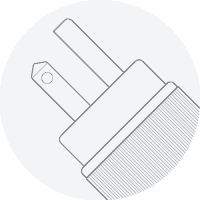 Different combinations of sockets can be configured to meet your system needs. 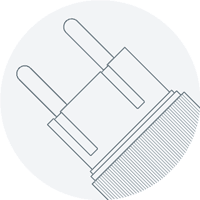 Atlas offers 4mm² and 2mm² mains cables –these are identically constructed using the same conductor, dielectric and screening quality. Use the Eos 4dd 4mm² version for higher power devices. 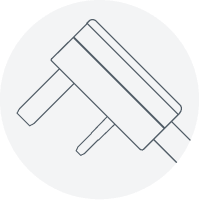 We strongly recommend that you use an Eos 4dd cable from the wall socket to the IEC input of the distribution unit (matching the internal wiring), then select individual cables according to your system conﬁguration. The Eos Power Management System has been designed to let you hear what your system’s really capable of. 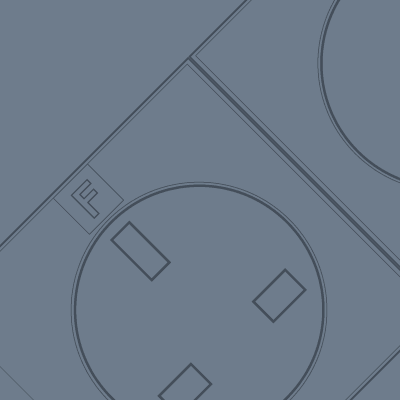 Eos cables and distribution blocks are available in UK 13A, Schuko & Nema variants. Your local Atlas dealer/distributor will normally supply Eos products with the appropriate plugs for your country. 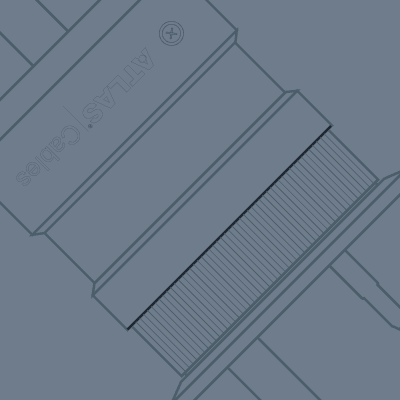 At the equipment end of the power cable, options are 10A (standard ‘kettle-type’ connector used on most equipment) & 16A (high current, larger format connector) IEC and C7 (‘figure of 8’ connector). Please specify which type of connector you require on purchase. Atlas is first and foremost an engineering company, so in designing our products, we not only listen very carefully, we test, measure and test again. Find out more via the links below. Read more about the research, design & technology behind our products. 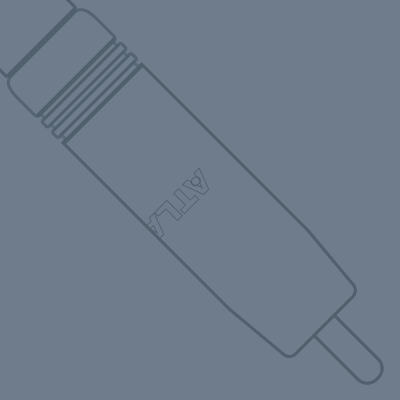 Almost all our cables can be configured to a custom specification. 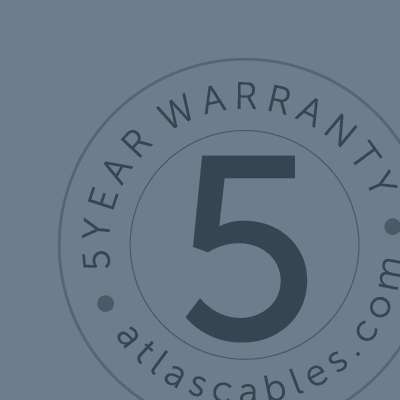 Our cables have a 5 year guarantee when you register online. Browse our FAQs for commonly asked questions and answers. © 2016, Atlas Cables Ltd.